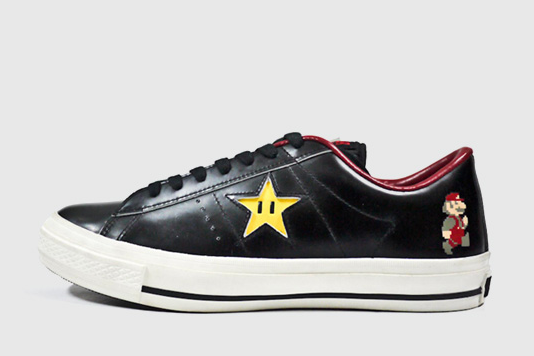 The Japanese arm of the American footwear giant Converse have recently announced they will be selling Super Mario themed converse trainers, which will be called 'Converse One Star Super Mario Bros. OX'. The trainers are due to go on sale some time in March and will come in either Black or White. As you can see, the trainers design is based on the original 1985 game Super Mario Bros. which was released on the NES console. It features both the Star in the centre, and 8 bit Mario on the heel. 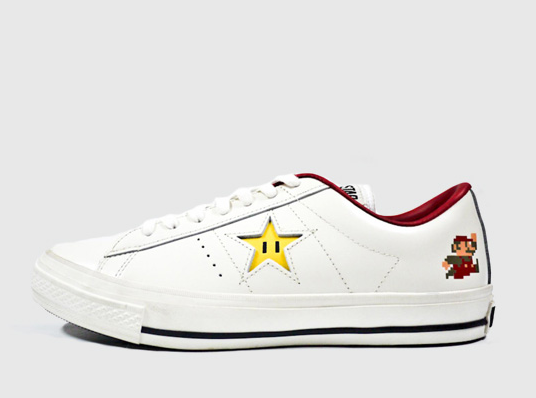 I personally hope these trainers are released outside of Japan also, as I would like a pair (I may even import them), and I know quite a few people who would definitely be interested in buying them.